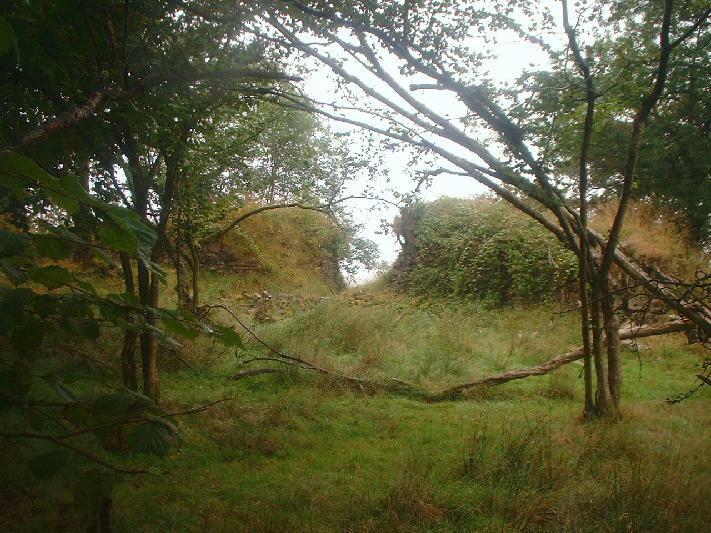 Dylan Iorwerth, writing in the Cadw magazine Heritage in Wales explains how Jack Spurgeon is unravelling the mystery concerning the origins of Morgraig Castle, near Cardiff. "It was in the summer of 1895 that they stumbled upon it, as they struggled through the undergrowth up from the main Cardiff to Caerphilly road. The new civic buildings may well have glinted in the distance as the small group of men explored the overgrown remains, 800 feet up on Llanishen Rock. John Ward, an early archaeologist from the Cardiff Museum, was the leader. He had heard the local stories about an ancient British fort and they had seen the maps with the rather strange rectangular shape. Full of the spirit of the late Victorians they were the first to try and solve the mystery of Morgraig. Eight years later, Ward had the job of overseeing the excavations on the south side of the ridge that looks over Cardiff. 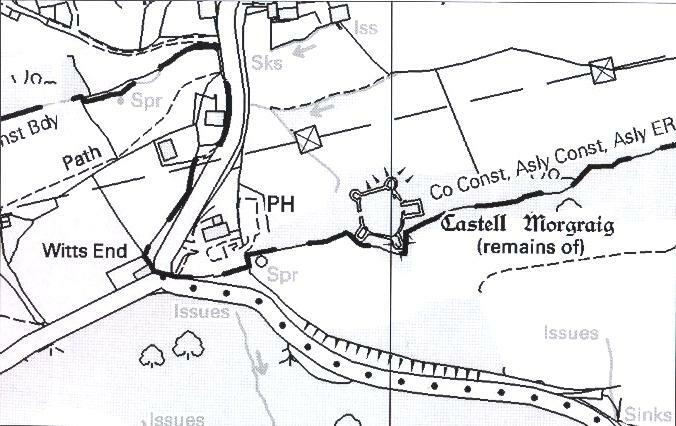 By 1905, with an architect and a historian, he published an article which made clear that Castell Morgraig was in fact a 13th century castle. That discovery was not a solution. Since then there has been a fierce debate about the ruins. Who built the castle and why? 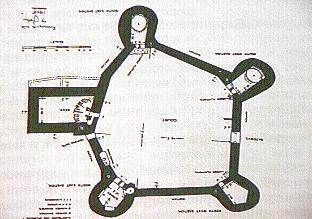 Was it a last defiant Welsh fortress for the native lord of Senghennydd or the harbinger of the final conquest? Is it an important place for Wales or just a name in a footnote? 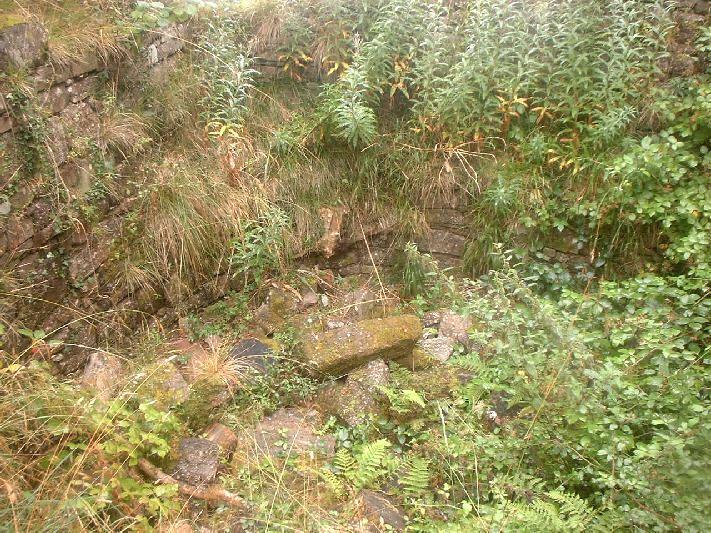 In 1997, more than 100 years after John Ward first walked over the tumbledown walls, there have been newspaper articles claiming this to be the scene of the Welsh Alamo, where a Welsh rebellion was defeated in 1315. It seems that a lot of political and emotional energy is being invested in the few remaining pieces of stonework. There is even a society set up to protect Morgraig. The castle stands on a divide, as in the 13th century, when it straddled the border between Welsh Senghennydd and English Glamorgan. The job of Cadw and the professionals of the Royal Commission on Ancient and Historical Monuments in Wales is to try and establish the facts, disregard emotion, and come to a sound judgement, if possible, beyond all reasonable doubt. Jack Spurgeon doesn't really look like a detective. There is an avuncular air about him as he sits at his tidy desk, reaching for his book on castles in Glamorgan, flicking through the pages. He has retired now as an investigator for the Royal Commission and works from home on a new housing estate just outside Aberystwyth. Retired he may be, but the enthusiasm is still there as his finger traces the maps of ancient castles, showing an unorthodox tower here, an unusual feature there. This was the enthusiasm that made him give up history teaching back in the 60s to combine his passion with work. One can just about hear the flicker of a Cardiff accent as he talks of his investigations on Morgraig. He is a history detective. The Commission has asked him to write the report on the forgotten castle, a whodunit in stone and mortar. His report will discuss all the possibilities and weigh up the evidence for and against. 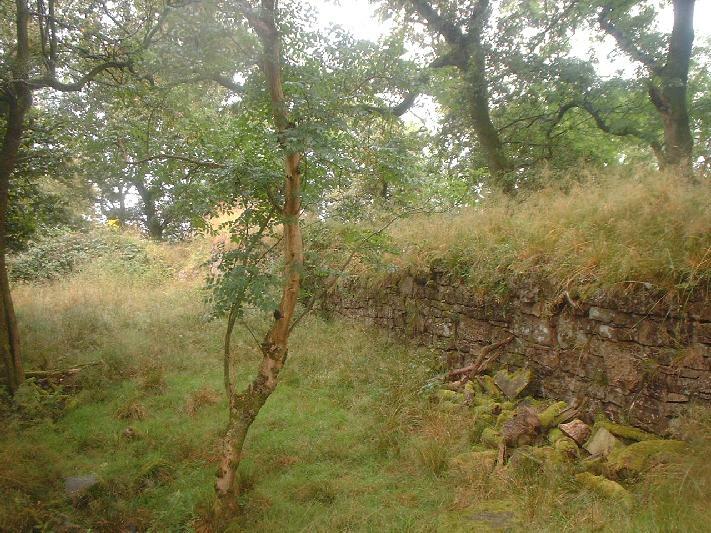 Many professional and amateur historians have different views about Castell Morgraig. Jack Spurgeon is the expert who has to winnow the grain from the chaff. His report will say that the castle is probably the work of an Anglo-Norman lord... and many people will not like it. "It's a very odd castle," he says and shakes his head, part in exasperation, partly relishing the challenge. "It's not clear cut. 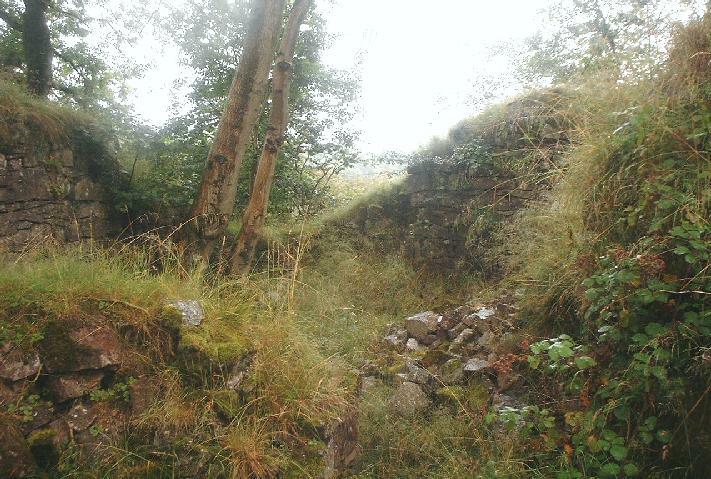 There are archaic features, which would suggest it's Welsh, but there aren't any ditches, which are usually the most impressive features of the Welsh castles of north Wales. Very odd." All things considered though, he is ready to venture that Castell Morgraig was built by the Anglo-Norman de Clare lords of Glamorgan, sometime after 1243 and before 1267, when it was abandoned unfinished as the de Clares defeated the last Welsh native lord in the area and started building Caerphilly nearby. Jack Spurgeon reaches for his report, ready to present the case. It is almost like a criminal investigation - there are material clues and historic fingerprints - but an archaeological detective also has to look for motive and opportunity, before balancing it all up in the scale of possibilities. The first clues at Morgraig are in the masonry itself. 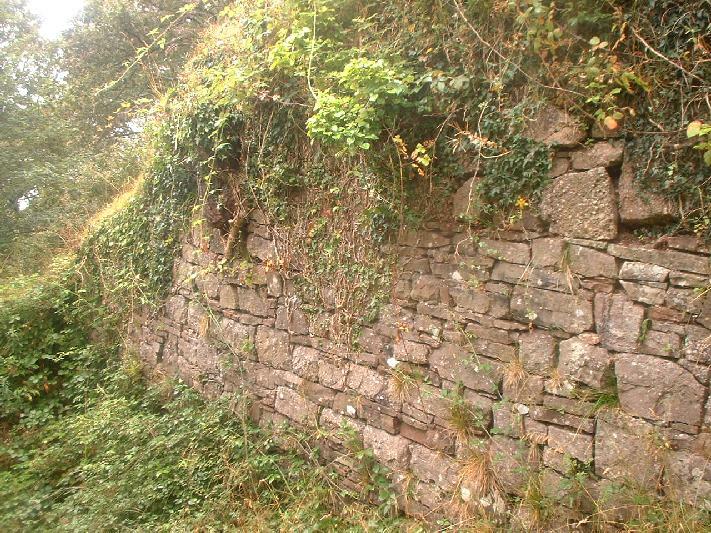 The walls have suffered since being uncovered by Ward and friends more than 90 years ago. The battlements have vanished and, sadly, those early detectives failed to consolidate what was left and safeguard the clues. The shape of the castle walls and the thickening on one side of each tower was evidence of a spiral staircase there, starting at first floor level. Newel stones, which would form the central pillars of such staircases were also found - an unusual discovery if the castle were really Welsh. As often happens in criminal cases, what is not discovered can be just as significant as what is. 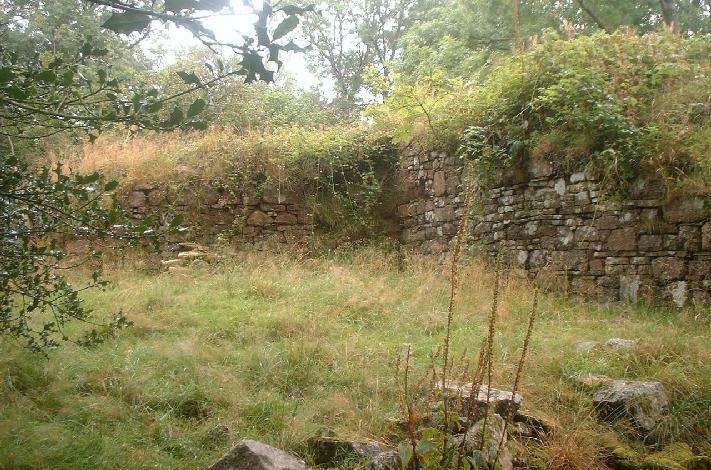 At Morgraig, there was no evidence of roofing materials or evidence of internal buildings. Clear proof, then, that Morgraig had never been finished. And, then, a crucial factor - a lot of carved stones, used as dressings for doorways and windows, again a more English feature. But it was history's version of forensic science that clinched the discovery. The carved stones were of a particular and unique kind - Sutton stone, a whitish rock with flecks of shiny quartz, which was quarried in the Vale of Glamorgan in the Middle Ages. There is no mistaking it, says Jack Spurgeon, with the confidence of a Maigret. Other visible features are more confusing. Flanking towers at each corner were a 13th-century development which the Welsh had hardly adopted, but the keep and modest entrance are both archaic features and nod towards the Welsh. In the end, the detective comes back again to the use of Sutton stone. "Sutton stone only came from a single very isolated quarry near Ogmore and Southerdown," says Jack Spurgeon, as he draws on his cigarette. "This good stone was exhausted by the end of the Middle Ages." It's when you study the political history of the period that the significance of this becomes obvious. Ogmore Castle was within the fertile lowlands firmly controlled by the de Clare family. The Welsh lord of Senghennydd would never have had the chance of obtaining such valuable stone. From 1243 onwards there would have been constant tension between the Anglo-Normans on the fertile lowlands of Glamorgan and the Welsh lords who still clung to the highlands of Rhondda, Rhymni and Taff valleys. In 1245 and 1246, Richard de Clare had annexed two of the Welsh lordships, Glynrhondda and Meisgyn, leaving only Senghennydd in native hands. In 1257, there was further pressure as Llywelyn the Last extended his influence down to Glamorgan and even entered it to destroy the de Clare castle at Llangynwyd. "It's inconceivable that the Welsh lord of Senghennydd would have been able to get Sutton stone in this period for Morgraig," says Jack Spurgeon again. "It's inconceivable too that Richard de Clare would have allowed him to build a castle looking right down into Cardiff. "The dating is crucial," says Jack Spurgeon, with more than 30 years experience in his voice. The detective has to be meticulous in creating a chronology, building it up carefully, using solid clues and circumstantial evidence. Jack Spurgeon narrows the field down to that 24 year period up to 1267, when the de Clare lords and the Welsh lord of Senghennydd were facing each other across the very ridge on which Morgraig is built. On balance, he favours Earl Richard and a date of 1243-62. Supporters of the Welsh theory say the castle would have been built to threaten Cardiff. Backers of de Clare insist that their man would never have countenanced such a barefaced cheek. 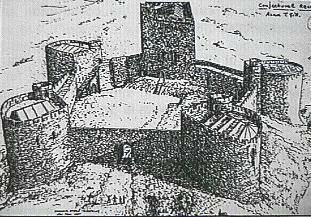 The castle, they say, was intended to guard the main road into Cardiff and to catch marauders on the way back. It was on one visit to the castle that Jack Spurgeon and his colleagues started following some trenches along the ridge. "We went to explore those and wandered further," he explains. "We found two little collapsed stone towers about a mile to the east. They were close together, and a third was found later across the river Taff near Llantrisant. They've never been excavated." The towers are all on the border between the lordship of Glamorgan and Welsh lands, just like Morgraig - for Jack Spurgeon they are another hint that Morgraig Castle could have been a cavalry outpost with a chain of outlook towers, serving a patrolled frontier. "I'm absolutely convinced it's an English-built castle," he says and sits back again in his chair. This article originally appeared in the Cadw magazine Heritage in Wales and was reproduced by kind permission of Cadw in the Castle Studies Group's newsletter, no. 11, 1997-98.